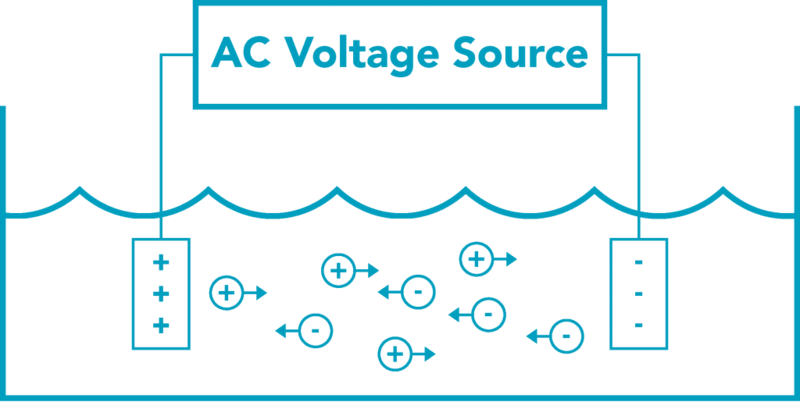 Conductivity is an expression of the ability of a solution to conduct electric current. It is expressed as a microsiemen (micro-Siemens per centimeter or µS/cm) or in higher conductivity levels as a millisiemen. It is also the reciprocal of resistivity. Some industries such as water treatment have adopted a measurement expressed as TDS (Total Dissolved Solids). TDS is approximated with conductivity using a multiple factor and is expressed in parts per million (ppm). How is TDS / Conductivity Measured? Contacting conductivity sensors measure conductivity with two surfaces in contact with the sample. These surfaces can be constructed of graphite, stainless steel, platinum, or similar materials. An AC voltage waveform is sent through one contact of the sensor and passes through the liquid being measured. The second contact surface receives the signal. The resulting measurement determines the conductivity of the water and is displayed on a conductivity instrument which expresses the measurement as microsiemens, millisiemens, or total dissolved solids (ppm). 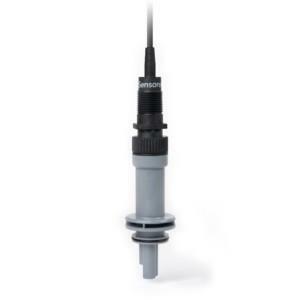 Toroidal conductivity sensors consist of an inductive 2-coil system encapsulated in an inert plastic case. 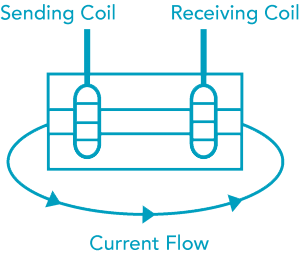 The sending coil generates a magnetic field, which in turn produces an electric current in the liquid being measured. The strength of the current, which is picked up as a magnetic field by the receiving coil, is proportional to the concentration of ions in solution. 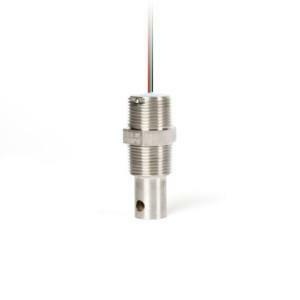 This inductive system can eliminate the polarizing effects that may produce erratic measurements with a contacting conductivity sensor. 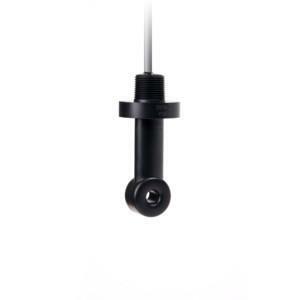 Toroidal sensors are also resistant to fouling, because the coils are not in contact with the process. Therefore, toroidal conductivity sensors have become the standard in many high conductivity applications, such as chemical processing, cooling towers, and seawater monitoring. Conductivity sensors may have different features that make them more or less suitable for different applications. For example, the conductivity cell constant determines whether a probe is suitable for measurements in solutions with low conductivity (ultra pure) or high conductivity (concentrated). 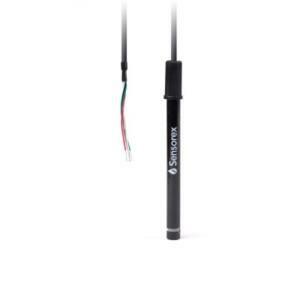 From light duty laboratory style probes to stainless steel boiler conductivity cells, Sensorex has designed our conductivity product range to fit different application needs. Designing a new water treatment product? We can help. Sensorex specializes in the design and manufacture of custom water analysis sensors for our OEM partners. Collaborate with our expert team of engineers and chemists to design a conductivity sensor that meets the needs of your system. Body size and shape, materials of construction, measurement range, cable length, connector type and other features can be adjusted to fit your application requirements. Why is TDS / Conductivity Measurement Necessary? From controlling biocide and scaling in cooling towers and boilers to the water you drink, conductivity plays a part in a multitude of applications across many industries.